Halloween is almost here. 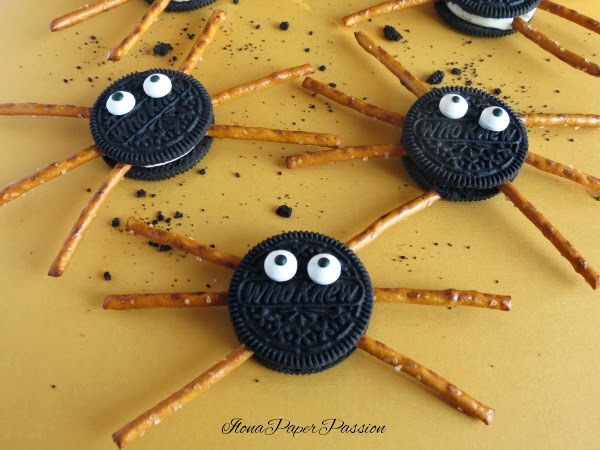 And these spiders are perfect for this season. They are made with Oreo cookies or other similar cookies that can be found in grocery store. These Spiders are very easy and quick to do. My children will be probably so happy when they will see them. They like pretzels and cookies! For Every cookie put six pretzels to imitate legs. Melt a little chocolate chips just to affix eyes.